Antonio Banderas Antonio Banderas Seduction In Black EDT Perfume Spray DeoBazaar.com. Antonio Banderas Seduction In Black EDT Perfume Spray For Men @ Best price in India. 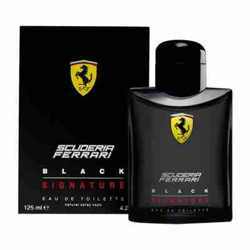 Buy Antonio Banderas Seduction In Black EDT Perfume Spray100 ML For Men just Rs. 1699/- Online From DeoBazaar.com with Best offers, discount, COD(Cash on Delivery) and Free shipping across in India. Product #: Regular price: Rs.2950INR1399(Sale ends 01 January ) Available from: DeoBazaar.com Condition: New In stock! Order now! Explore Antonio Banderas | More Eau De Toilette | Why shop from us? Antonio Banderas Seduction In Black emphasizes woody, ambary and oriental accords, enhanced by original and interesting spicy note that embodies freshness and sensuality. 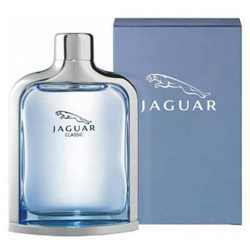 It opens with notes of luminous sparkles of bergamot and black currant. The heart is composed of spicy notes of coriander, cardamom, and nutmeg; while the base is of cedar, tonka, amber and musk. Antonio Banderas Seductive Fragrances is an inspiration of Spanish actor, director, singer, and producer. If there is one Spanish actor who has transcended global barriers that must be, undoubtedly, Antonio Banderas. In 1998 he launched his first fragrances by the name of DIAVOLO FOR MEN till then he is unstoppable and adds a new fine fragrance every year.